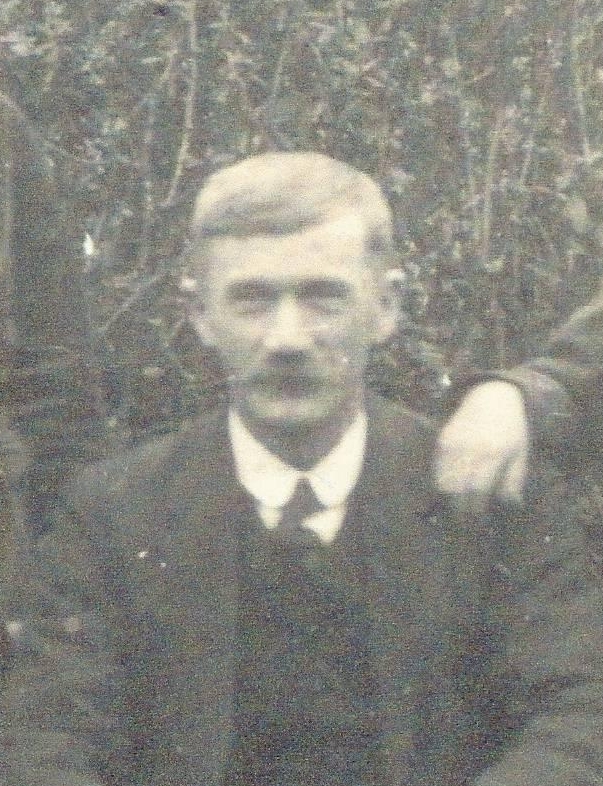 Owen Jones (1879-1927) master butcher of Glynllifon Stores and son of Richard Jones. 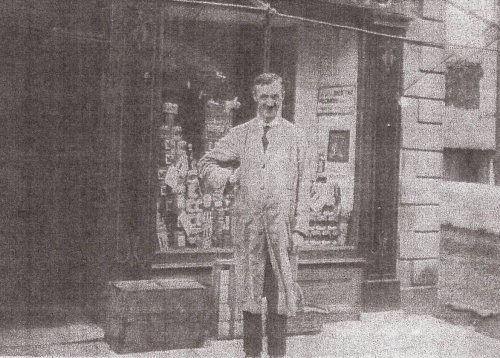 Richard Jones (1876-1927) grocer Glynllifin Stores and son of Richard Jones. 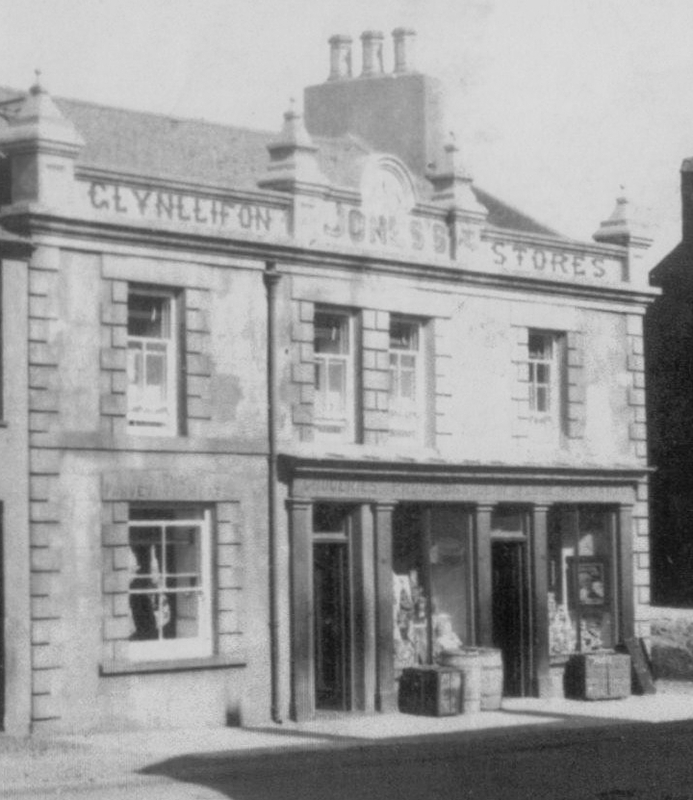 Glynllifin Stores, High Street with the butcher on the left owned by Owen Jones and the grocer on the right owned by Richard Jones. 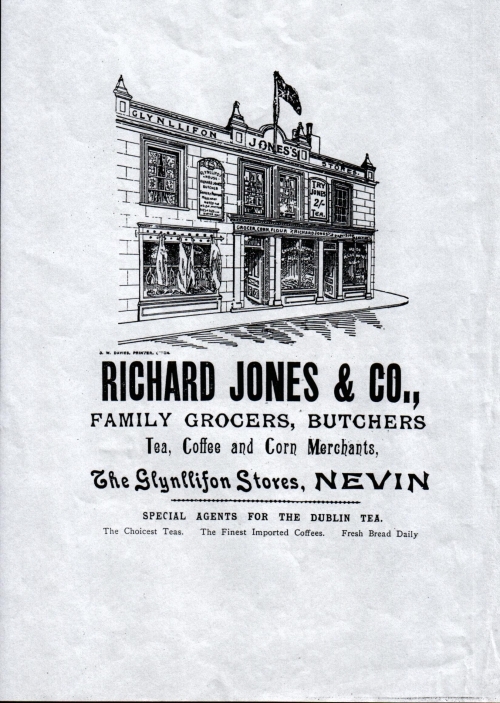 A paper shopping bag from Glynllifon Stores, Nevin.